Good for all Dodge Ridge products and services and the value never expires! If you’re looking for that perfect gift for your snow-loving friend or family member, Dodge Ridge has the perfect option. 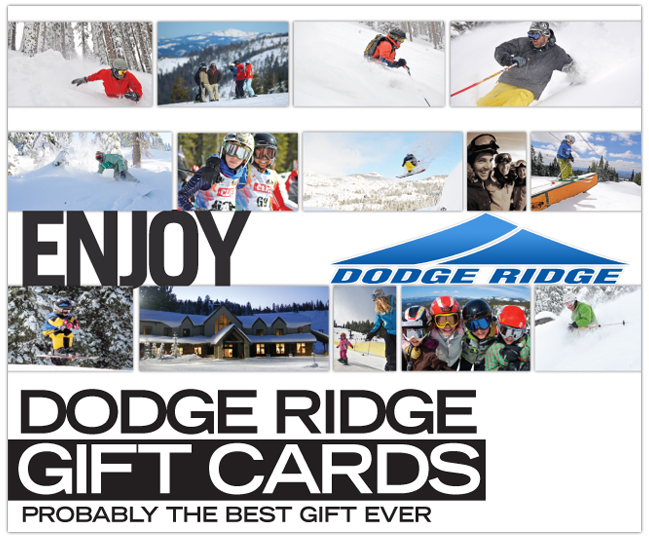 It’s the Dodge Ridge Gift Card and it’s available right here at Dodge Ridge. 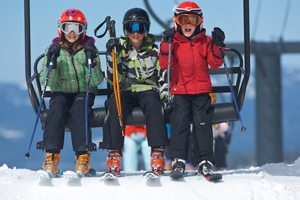 The card can be used for any service or product at Dodge Ridge from lift tickets, rentals and lessons to season passes, dining and gear from our sport shop, and the value never expires! Purchase online or give us a call us at (209) 965-3474 to purchase a gift card today! Cards can be issued in any amount. Your card can be picked up at Will Call or mailed for a small fee. If you don’t see the gift card amount you would like from our online store, please give us a call at (209) 965-3474 and we’ll assist you over the phone.